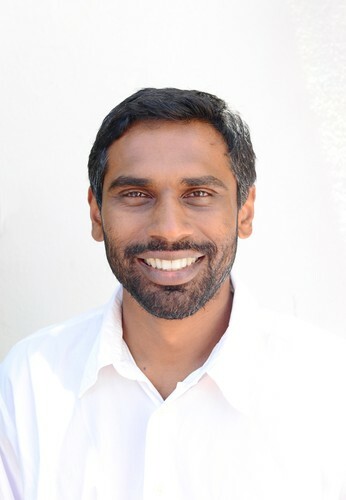 Kevin Govender began work at the International Astronomical Union’s Office of Astronomy for Development (OAD) in Cape Town, South Africa in March 2011 as its first Director. He has extensive experience using astronomy for development during his previous position as the Manager of the Collateral Benefits Programme at the South African Astronomical Observatory. He also chaired the Developing Astronomy Globally Cornerstone Project of the International Year of Astronomy (IYA2009) and was involved in the development of the IAU Strategic Plan. Astronomy for Humankind. Here we have the Earth. What a place! The consolidated image of everything that we know as life – the trees, plants, insects, ocean life, pets, friends, family – human beings. The whole of humankind exists only here – on Earth. This place that Carl Sagan described as the “pale blue dot” along with an excellent description of this planet we all know so well. This planet is the place where humankind has evolved, adapted, and flourished. To the point where we are pushing the planet to the absolute limits of what it can provide us. Who are these human beings? They’re you and me and everyone we’ve met or will ever meet. They are individuals walking around this planet with the most powerful resource carried on their shoulders – the human mind. Think about it – every one of those people is carrying around a universe of their own – a universe in which they give their own completely individual levels of importance to things. Maybe the most important thing to that person is that he’s just broken up with his girlfriend. Maybe that person is feeling really ill from a bad lunch she had. Maybe that person forgot to put on deodorant that morning and is terrified that the people around them are going to notice. Maybe that person really can’t stand this crowd and is growing more and more upset every time someone bumps into them. The world is full of these individual universes. Full of minds that have the ability to comprehend that that bright Sun that’s shining on them is actually a star that’s much much much bigger than their whole planet.